NEW YORK: Ogilvy PR Worldwide has hired Betsy Stark as MD of content and media strategy, a newly created position at the agency. Stark, an Emmy Award-winning journalist and former ABC News business correspondent, will counsel Ogilvy clients on media strategies, content development, and brand story creation. She will report directly to Chris Graves, global CEO of Ogilvy PR. Initially, she will work with Ogilvy's North American clients, but the work is “very likely to evolve to a global role,” Stark said. “I'll be working both with existing clients to make sure we're thinking as smart and creatively as possible about the stories were telling and where we're placing them, and I'll be working with new clients in that capacity to help them imagine from my insider perspective what's possible,” she explained. Stark will also work across all practice areas of Ogilvy & Mather, including social media, to form integrated strategies for clients that will increase their brand recognition and enhance their reputations. She will also be responsible for CEO and C-suite positioning and coaching, which she said will be a “natural fit” since she has interviewed so many executives over the years as a business journalist. Stark will also focus on client-owned content, helping Ogilvy clients become strategic publishers and producers of their own stories. While working at ABC News for 12 years, Stark reported on business news and the US and global economy, winning Emmies for her contributions to the network. 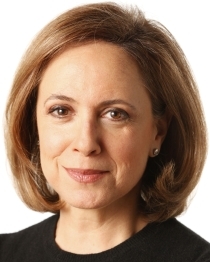 She also previously served as a correspondent for Dow Jones and a producer for the news program The Wall Street Journal Report. Over the last month, Ogilvy PR has hired Nicolas Acker as European public affairs director, Michael Frohlich as MD of the Europe, Africa, & Middle East (EAME) consumer marketing practice, and Bruce McConnel as VP and senior digital strategist in the firm's 360 Digital Influence group.